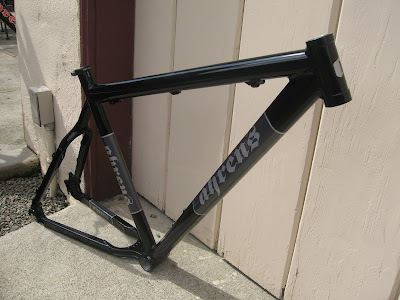 Here are some pics of my mechanic, Ryan Bontager's new hardtail. It's setup for a 120mm travel fork and will be adorned with pweter King components throughout. Stay tuned for more pics once it's fully assembled....dope.